In the spirit of Mr. Smith, I recently went to Washington and met with our nations lawmakers to discuss the importance of growing our nation’s IT Workforce and, in particular, the Cyber Security sector. I was afforded this opportunity as a result of participating in an annual “Fly-In” hosted by CompTIA from 2/14/17 – 2/15/17. The proposed legislation, “CHANCE in Tech”, focuses on filling the skills gap of approximately 600K jobs in the US today and can be found here. I was thrilled to join forces with colleagues like AspectX’s Dawn Yankeelov to advocate in Washington, D.C. and to speak with Members of Congress about issues that are critical to the future of PatchAdvisor’s business and the overall tech industry. 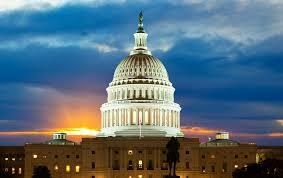 The annual “Fly-In” is organized by CompTIA to advocate on behalf of the tech community. CompTIA, the Computing Technology Industry Association, represents technology companies of all sizes and is committed to expanding market opportunities and driving competitiveness of the U.S. technology industry around the world. Innovation is a key force behind a strong 21st century economy, and our leaders should prioritize issues that affect growing companies like PatchAdvisor. While in Washington I visited Congressman Beyer’s office, of the 8th District of Virginia, to advocate on workforce development and cybersecurity—both, central to our industry. These legislative issues are key ingredients for helping technology firms like PA to become more competitive.